Nowadays if you go to any book store, you will surely find a separate section for Self-help books with a great selection of numerous kinds of books which are supposed to be very good help for the self. Sometimes you will even have a hard time choosing where to start, it seems that you may need help in so many aspects. If you were to really shop around, you could leave the book store with a bag full of various books in order to help yourself. Do you think all of this is necessary? After reading all of those books, you might become confused with all the different approaches, techniques, tactics, or methods on how to correct your life and give the best help to yourself. Nonetheless, this way of helping yourself is definitely better than not doing anything or just complaining about how everything is difficult or horrible, or how life is against you. Surely it might bring some change in your life for the better, but I will have to tell you, this is not the Best. Here, we are going only for the Best. However, the best might surprise you, and I assure you there is no other way which you will find better, anywhere. You will not find this is some book from the self-help section. So what is the best way to help yourself? Now, be very attentive to not miss this very important point. Your True Self needs No Help! Didn't expect that? No worries, I will explain, but nevertheless, bring all of your conscious attention to this, because after reading this, you should be able to realize that truly, your true self needs no further help. Our environment always implies that you need help, and you should seek for it. But truthfully, you need no help, so stop seeking for it. 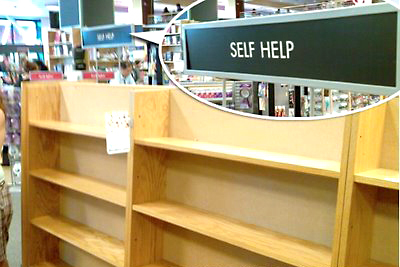 The issue with self-help is that it is not fully known to whom it's really being helped. 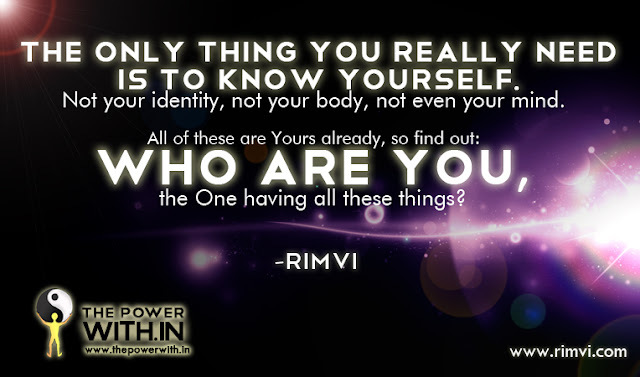 Are you helping yourself or are you helping your identity? Contemplate about this. Do you think that your True Nature, the Self needs any help? It really does not. All of the help had come out of it, so there is nothing you can add to it, it is already complete. Your identity however, always seems to need some sort of adjustment, fix, or repair, because nothing ever seems right or that there is always something to work on. But now, you have to look at yourself and See. Are you your identity or are you the one who has the identity? And if so, Look a bit deeper and See, who is the one having the identity? Does that one really need any help? Once you get to this point, you will be able to see for yourself that no help is needed. It is already perfectly fine as it is, and if there is still a need to work on your identity, it is completely fine and you can do it, but at least you will know that you are just adjusting things for it, but you are not IT! Get out of your misconception that you need any help. You really do not. Self-help is a great step towards bringing more consciousness into yourself, but eventually the light of consciousness should become so strong that it makes you become aware of Who is The One that I am trying to help and Who is being aware of this effort. Just contemplate on these questions and see where it takes you. I will tell you, the only one direction is You: the Self which needs no Help, the Self which is already perfect, the Self from which all of the Help is created. And if you find that, and you will, you can be sure that your search had come to the end. Let me know where your contemplations have taken you, and if there is one or few more small steps to go, I will be glad to show you how to make these few, minor final steps towards your True Self!